Are you in the search for the cheapest colleges in the US? Then read on. For average students and low-wage earners in the United States, money is a serious matter. It’s one of the most important things to consider when making a decision, especially when it comes to pursuing a degree in college. Everyone knows that pursuing a higher education in the US can be costly. 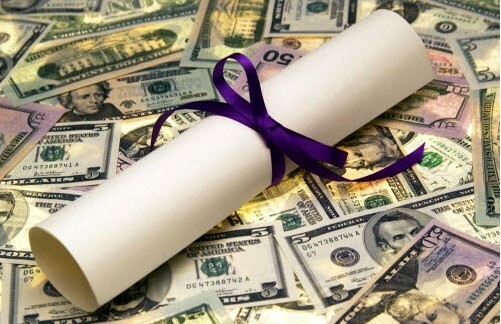 In fact, 60% of American students apply for student loans annually to help cover their educational expenses. According to asa.org, about 57 percent of public students and two-thirds of bachelor’s degree students from private institutions graduated with existing debts in 2011 — average amount of which is at least $26,000. What makes this worse is the fact that because of this debt, students are having a difficult time to find work quickly, which keep them from paying back their loans. But this should not stop you from going to college. With careful financial planning and wise decision making, you will avoid this financial stress and eventually reach your future success. The following are the top 10 cheapest colleges in the US that can help you make your dreams happen, without drowning yourself in debt. Macon State University, founded in 1968, was among the four-year state college units of the University System of Georgia. In 2013, it was merged with Middle Georgia College, creating a new institution, which is known today as the Middle Georgia State College. The school offers a wide range of associate and baccalaureate programs, with a mission to serve diverse people who are financially in need. The school offers affordable tuition for students at a starting rate of $97 per hour. Established in 1851, FSU is one of the oldest and largest institutions in Florida, providing higher education systems for American and foreign students. The university is devoted to providing excellent learning services that shape the future of their students. FSU is also one of the best schools in the US that offers affordable tuition fees and rates. Fees may vary from program to program. For the undergraduate instate residents, the total credit per hour rate starts from $215.55. Broward College, which was founded in 1960, is among the famous and cheapest colleges in the United States. The school offers hundreds of career programs for students wanting to pursue higher education at very affordable costs. Tuition rates and charges may vary. But for instate certification programs, the total credit per hour starts from $105.90. University of Wyoming is founded in 1886. It aims to be the one of the finest land-grant universities in the world, with a mission to provide excellent and affordable programs for aspiring students. Today, the school enrolls more than 10,000 students from all over the country, making it as one of the top 15% four-year colleges in the country. In 2011, the school was featured among the Best 373 Colleges by Princeton Review. Tuition rates start from $108 credit per hour. Founded in 1891, N.C. A&T is one of the top leading colleges in the US producing the best certified public accountants, architects, engineers, and nurses. The school offers a wide range of affordable courses, which help students improve their quality of life. The total instate tuition charge for graduate students is $852.20 per semester. Cal State Northridge is a public university located at the heart of Los Angeles’ San Fernando Valley. It offers more than a hundred of degree programs in 70 different fields, such as education, business, and engineering. With more than 50 years in the service, CSUN has received multiple awards, including being number 9 among the top 20 schools that passed the California Bar Exam in 2008 and being consistently ranked as one of the top 25 for master’s level universities in the US. Tuition fee starts from $3,260 per semester. Palm Beach State College, which was founded in 1933, is the first public community college in Florida. Starting with only 41 students, the school is now serving more than 40,000 students annually in over 100 fields of study including bachelor’s degree, associate degree, and short-certificate courses. The school aims to support the educational needs of Florida residents and other foreign students. Credit courses start from $98.25 per hour. FSU, established in 1867, is one of the oldest running and cheapest colleges in the US. The school is part of the University of North Carolina System and Thurgood Marshall College Fund. FSU offers a wide variety of degree programs, including bachelor’s, master’s, and doctorate degree. It belongs to the few universities accredited by the Southern Association of Colleges and Schools. Tuition and rates may depend, but undergraduate instate courses start from $2,584.76 per year. Founded in 1958, SJR State is a full-service college located in Northeast Florida. It is part of the Florida College System, and one of the several institutions in the system that offers four-year courses. The school aims to provide affordable education programs for students in need. Similar to other schools, SJR State tuition rates may vary. For advanced and professional residents, the credit per hour starts from $78.84. Founded in 1963, DSC is among the universities and colleges in the US that is part of the University System of Georgia and accredited by the Southern Association of Colleges and Schools. It’s a public, 4-year college located in Dalton, Georgia. In addition to its wide range of associate and degree programs, DSC now also offers several baccalaureate degrees in Chemistry, Biology, English, and Mathematics, just to name a few. In state- tuition fee starts from $97.27 per hour.